Your stay at the W.K. Kellogg Conference Center provides so much more than friendly service and great food. Our location is nestled just outside the city on a beautiful 32 acre waterfront property. Stay and enjoy our on-site recreation or tour local attractions. There is so much to do you will want to come back again. Botanical Garden walking tour on property that includes a shoreline demonstration area, and marked award winning trees and foliage areas. 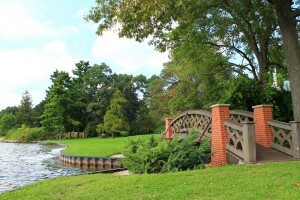 Visit Discover Kalamazoo or Battle Creek Visitors for more area information.